Now you can enjoy ONE FREE WEEK following your FREE day care evaluation! Schedule Your Evaluation Today! 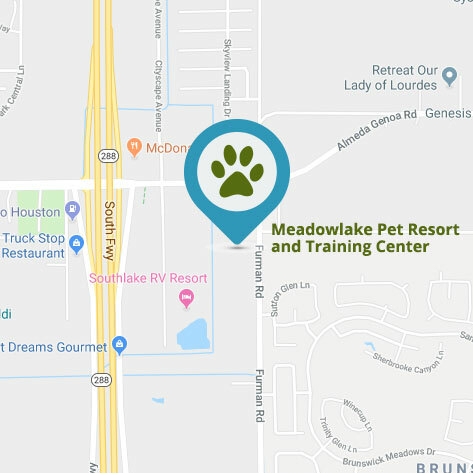 Meadowlake; making life better for pets, and their people! Your pet is an important part of your family and deserves the best. 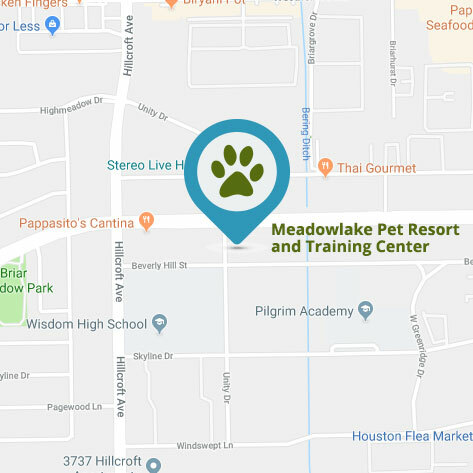 Meadowlake's two state of the art facilities located in Houston, TX, and highly trained staff deliver 5-star service to each and every furry guest. 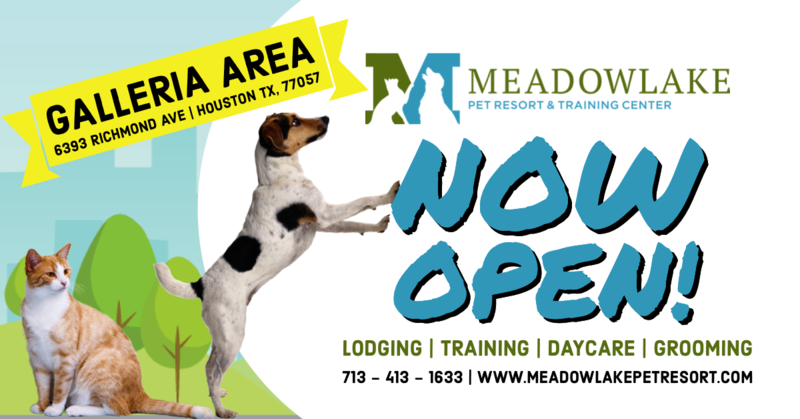 Meadowlake Pet Resort & Training Center will quickly become your pet's favorite place to play, learn and feel loved. Visit us at our Meadowlake Pet Resort 288 South location on Furman Rd. or our Meadowlake Pet Resort Houston Galleria location on Richmond Ave. Yes, I would like to receive emails from Meadowlake Pet Resort and Training Center.